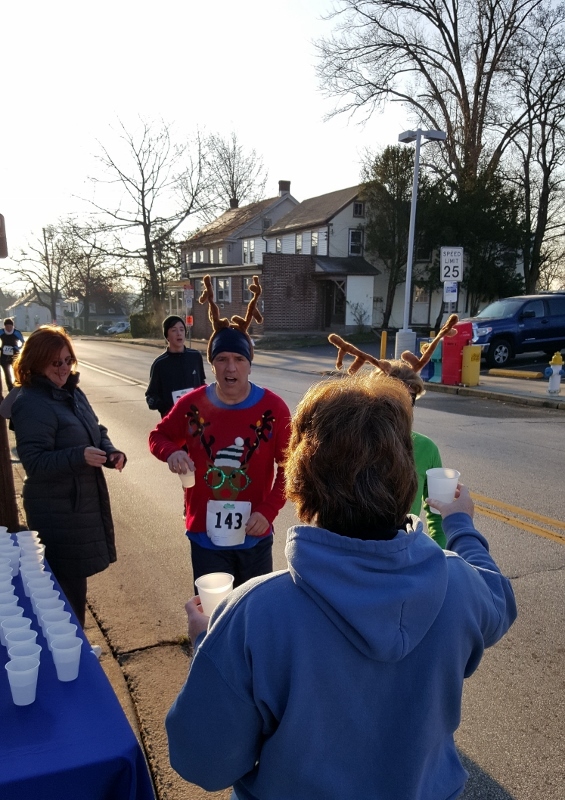 It was a chilly morning but the runners in Generations of Indian Valley‘s Reindeer Run were happy to accept the cups of cool water we provided at the event’s halfway point. 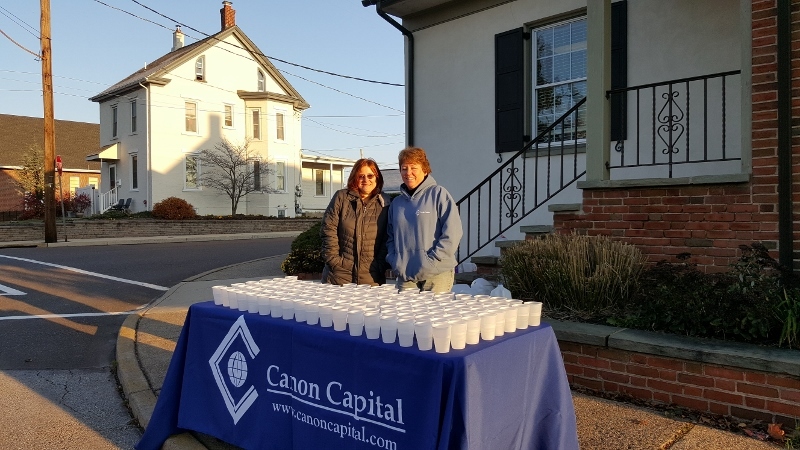 Canon Capital’s Sherri Schaeffer and Lori Canfield are ready to provide refreshments for the runners. 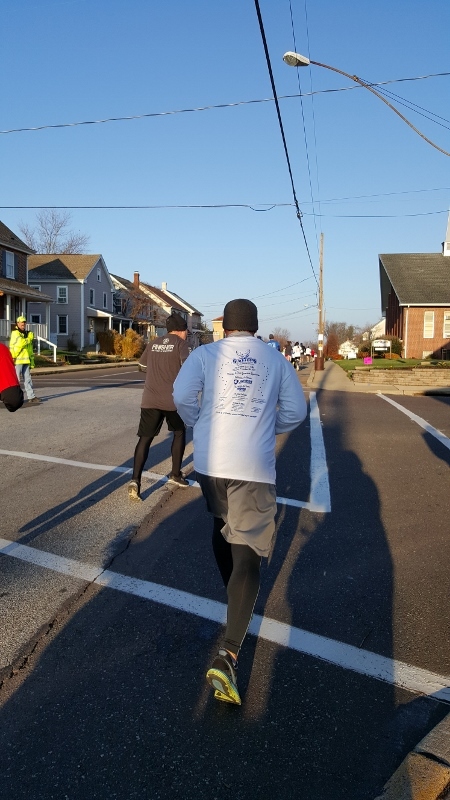 Chuck Porter (pictured in the white shirt), Jen Norman, and Brian Erkes, all from our Wealth Management Unit, participated in the run. This annual event benefits Generations’ community programs, including Meals on Wheels.